Below you will find a comprehensive list of FAQs. If your query is not answered, please contact us. Is there a minimum age on the policy? What do insurers class as a club member? Do we need to advise you each time we add a new member at our club? If an opposition team asks if we will lend them players to make up the numbers in a friendly game, are our players covered under our insurance if we ask them to play for the opposition? If members of our club also play for another club are they insured under our club insurance? If on occasion our club ask players from other clubs to represent our club to ensure they can get a full team are all of these players, playing under our club banner covered under the terms of our policy? Are coaches insured on the clubs policy? What activities are our club insured to undertake? What activities are our County / Regional Association insured to undertake? If I am a Club Official what protection do I get? Our club’s employees and volunteers are included on the Sport Liability policy. Why does our club need Employers’ Liability as well? We only have unpaid volunteers, do we need employers’ liability? Do I need to purchase Personal Accident Insurance for all our teams & members? We only operate during the summer period. Can we have a short term policy? Does this policy only cover me at our clubs address? Would this policy cover visiting clubs to our premises? We have our own clubhouse, playing surface and floodlights. Can we include cover for this under the same policy? If one of our members was injured by a member of the opposition, would our policy cover our member for injury/personal accident? Do our players have to wear gum shields, helmets, shin pads or other protective gear? As an individual umpiring their own hockey club at their home location am I insured covered under the club's insurance policy? The liability section of the insurance does not have a minimum age. In all cases where juniors are participating you should be following the guidance provided by England Hockey. prospective members whilst participating in your activities under your supervision. Where clubs offer taster sessions the Liability policy will recognise activity with non- members up to 3 taster sessions after which they must become a member for insurance to apply. Detailed records of non-members should be retained. The Personal Accident cover can be extended to include insurance for non-members e.g. whilst participating in taster sessions with the club. Please select this section on the proposal form. No. The annual premium is based on the total membership numbers known to you at renewal. The occasional change in club membership numbers does not need to be advise to us during the insurance year unless the change is significant. Yes your member can be insured under your clubs insurance when seconded to another team in a friendly game where you are agreeing for them to play for the opposition. If members of our club also play for another club are they insured under our club insurance. Your club members are only insured whist representing your club or whilst participating in your club activities. If they are also members of another club they should ensure that they are also insured for their activity within that club. As long as all these players are representing your club they can be insured either as a Member or volunteer of your club. England Hockey strongly recommends that all coaches are insured as an individual or through a club. Insurance should reflect the activities you undertake as a coach within the guidance of your level of qualification or accreditation. It is also recommended that no coach except those accredited at UKCC Level 2, EH Sessional Coach or EH Coach or above, should coach independently i.e. unsupervised. A Level 1 coach or coach who has attended a GB Coaching Club workshop or Introduction to Hockey Coaching should continue to provide instruction under the supervision of a Level 2, EH Sessional Coach, EH Coach or above and can organise and supervise game play. Where the liability section is purchased, the Liability insurance is provided to all club members, coaches, umpires, employees and volunteers whilst undertaking activities sanctioned by the club and within their club environment. Coaches who operate outside their club environment should purchase separate insurance and this is available as part of the England Hockey Coaches membership. Cover is provided for all club members, coaches, umpires and volunteers whilst undertaking activities sanctioned by the club. Cover is available as part of the England Hockey Coaches membership for individuals who coach or umpire outside of the club environment. A club which borrows, rents or leases a premises for sporting or social purposes and is held liable for damage to the facility. Additional Sporting activities of Lacrosse or Cricket are included for clubs where this is a secondary activity. **Hockey festivals - please note members attending and representing their club at hockey festivals are insured however if members are not representing their club at the festival or tournament and are attending in their own personal capacity this is not insured under the club insurance policy. If your club is involved in activities which are not included above, please contact us to discuss your individual insurance needs. Cover is provided for all county and regional association committees, officers, officials, coaches and players, including volunteers. Cover does not extend to sub-section committees or the players representing such sections directly, unless falling under the control of the Executive Committee. If your association is involved in activities which are not included above, please contact us to discuss your individual insurance needs. As a club official you may not appreciate that the constitution of your club almost certainly makes you personally liable for the liability of your club and the actions of your members. Howden’s Sport Recreation and Leisure Liability policy automatically provides Directors’ and Officers’ cover in order to protect you if you are sued for a negligent decision. As an example we frequently have claims following internal disciplinary disputes leading to exclusion of a member or coach. This can lead to legal action against the committee members for failing to follow the club constitution, or current human rights legislation. If you have selected the liability insurance the club is insured for liability incurred by volunteers and employees following their negligent acts. Employers’ liability provides protection to your club, as the employer, in the event any of the volunteers or employees becoming injured themselves and suing you for negligence. If you are selecting Personal Accident Insurance cover should be purchased for all your Members. Therefore please provide the full membership number when purchasing the Personal Accident Insurance. The only exception is the Temporary Total Disablement (TTD) option which does not apply to junior members. To help and make the process easier for 2016 the basis of rating for Personal Accident insurance has been changed from per team to per member therefore removing duplication. The policy scheme period runs from 1st September to the 31st August each year to fall in line with registration of teams at England Hockey and the Hockey Season. Claims from liability could arise at any time in the year and given the claims made nature of the liability wording it is essential that the insurance is in place when a claim is made, as well as when the incident occurred. An annual policy is therefore recommended. The committee could find themselves personally liable to deal with the liability claim when cover ceases and therefore if the policy lapses appropriate run off insurance should be sourced. 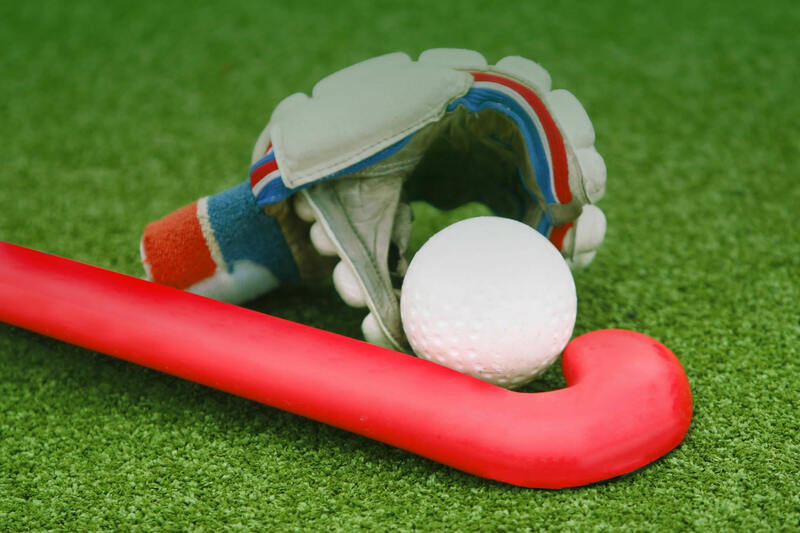 Although the main operation of the club may be from the club address, insurers do recognise that your club teams and club coaches may and will operate at other venues to undertake the clubs sanctioned Hockey activities, e.g. playing at other venues in the league and Club coaching sessions in a school or other club. If you purchase the property insurance again it is recognised that there are portable items and therefore the club portable equipment is insured anywhere in the UK. No. The insurance in place is to cover you and your members whilst undertaking your club activity. It is important that visiting clubs have their own insurance for their own members. More specific insurance can be arranged for these items. Please contact Howden 0121 698 8160 to discuss your individual requirements. If your club member is injured whilst undertaking a club activity and you have purchased Personal Accident Insurance, the benefits are payable as a result of an accidental injury subject to the benefit descriptions detailed in the policy. If the injury is caused by the opposition and they are considered negligent in their action, there is no insurance in place to pursue a claim. The Liability Portfolio is in place for defence of actions which may come against your Committee or members again whilst they are undertaking their club activity. There is no stipulation in the policy wordings for the wearing of protective gear however the insurers will expect you to be following best practice guidance and compulsory requirements provided by England Hockey. We would refer you to England Hockey for advice and guidance on the use of protective equipment and where it is recommended or compulsory for example Goalkeepers and the use of helmets. Some leagues will also make certain equipment such as gum-shields and shin pads compulsory. Yes, The club insurance provided by Howden recognises umpiring within the club. Insurance is provided for all club members, coaches, umpires and volunteers whilst undertaking activities sanctioned by the club. Cover is available as part of the England Hockey Coaches membership for individuals who coach or umpire outside of their club environment.